Megan Tobias Neely is a Postdoctoral Fellow at Stanford University’s Clayman Institute for Gender Research. In 2017, she graduated with a PhD in sociology from the University of Texas at Austin. She studies gender, race, and class inequality in the workplace and the labor force. Her research examines rising economic inequality in the U.S. through the lens of gender and race. She pursued graduate school after working as a research analyst for a hedge fund from 2007-2010. This insider experience led her to sociology to study the mechanisms that reproduce gender and race inequality in this industry and to understand how the financial sector perpetuates class inequality in society at large. Income inequality has skyrocketed in the United States. Since 1980, the richest 1 percent doubled their share of the nation’s earnings, and these high earners are concentrated in the financial services industry. Today, hedge fund managers earn an average annual income of $2.4 million, astronomical payouts that have mostly gone to elite white men. Megan presents an insider’s look at the industry. Have a watch! We spoke with Megan Tobias Neely during the conference: Overcoming Inequalities in a Fractured World: Between Elite Power and Social Mobilisation, organized by The United Nations Research Institute for Social Development (UNRISD). 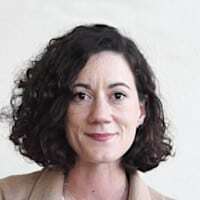 My name is Megan Tobias Neely and I’m a sociologist and a postdoctoral fellow at the Clayman Institute for Gender Research at Stanford University. Thank you so much for joining me. What are your main research topics? My research examines rising economic inequality, through the lens of focusing on how social inequalities such as gender, race, and social class inequality works in elite workplaces. For example, my current research examines the hedge fund Industry, and I conduct interviews with hedge fund workers, and I do field observations at their industry events and at their workplaces. Was it easy to find people who wanted to get interviewed in the hedge fund Industry? Yeah. So the research on elites, especially ethnographic on elites , usually says that you have to have an insider connection to industries like the hedge fund Industry in order to study it. And I thought I would be well positioned to study it because I had worked doing kind of support research at a hedge fund from 2007 to 2010. And I was surprised when I entered that world. It wasn’t a world I ever thought I would work in. And so I was fascinated by it and I was fascinated by how it shaped inequality. And when I returned to study the industry, I tried to use those networks and that knowledge to access the industry. But what I found is that they were very resistant to talk to someone. I had worked at a large hedge fund that’s associated with a large financial firm that invests in hedge funds. And so I represented a client, which made them very concerned. But once I positioned myself just only as a researcher and first and foremost as a researcher, they were very eager to talk with me and share their experiences. And they were excited in some ways to share the secretive world with what they understood as an unbiased audience. As a researcher, they understood that I would dig past sort of the stereotypes and the scandals that are often featured in the news media and portray the everyday lives and practices within the industry. So once they understood that goal they were very excited and eager to talk with me. Yeah, so what I found is that many of the features of this industry that they view as being very beneficial, actually created inequalities in unexpected ways. So they put a high precedent on having passion for your work. They really value trust and loyalty among employees. But what I found is that these kinds of features that seem good, they seem like beneficial things in the workplace, actually allowed [inaudible 00:02:57] biases based on status characteristics, which is the term that academics use to refer to things like gender identity, racial identity, and social class identity. So these allowed biases to flourish. Because when we make a decision about who we trust or who we view as passionate about their work, it’s usually based on something that we determine at the gut level or the instinctual level immediately when we interact with people. So even though those in this industry don’t think of themselves as being prejudiced or discriminating, they have built networks that do end up leading to the exclusion of women as well as minority men. And what I argue is that those same processes that lead to this exclusion also create an environment that allows them to justify the high incomes they earn. So I argue that it is the very processes of an inclusion and exclusion along gender and racial lines that helps to foster an environment that allows for these high incomes that drive the current trends and widening income inequality. The research on the financial sector in the U.S and transnationally, has largely found that it is increasingly characterized by insecurity. Financial crises are happening at more regular intervals. And this creates an environment where people who work at firms like hedge funds face considerable insecurity and instability. And of course they have the incomes to weather that insecurity, but it also shapes the way they are motivated to earn money. So for example, I interviewed one trader who I called Craig. He receives a bonus based on the trades that he makes in the stock market, and this affects the kinds of risks you take. So what he described to me is that he could take very high risk trades after he’d made a big bonus that would allow him to live for so many months based on that bonus. It could pay for his family’s rent, his children’s tuition, and then he might be able to live off that income for six months before he would have to start making more modest trades again to make sure that he could ensure his lifestyle. Case of traders like Craig really captures how these workers live in a pretty unstable environment, because if the stock market shifts, those trades are less predictable, and they have to really shift their approach. They actually benefit from insecurity in the labor market and in the stock market, but it also leads them to be highly motivated to protect their interests. So firms like hedge funds face insecurity in the stock market. They also face what they perceive as regulatory insecurity. So the government changes the regulation that influences how they do their business and that forces them to abruptly shift. And because of this insecurity, they put a high premium on trust and loyalty, and they select people that they perceive as trustworthy and loyal, so that they can weather this insecurity. I started studying the hedge fund industry in part because I was reading about the increasingly precarious working conditions of workers in the U.S and abroad as they face unpredictable wage labor, irregular schedules, many juggle multiple jobs in the low wage service sector. And this has led to increased polarization and inequality in the labor market. There are not many women working in the hedge fund industry, right? Only 17% are women, and among senior workers, only 11% of them are women, which shows that women are gaining access to some entry level positions but struggling to stay in the industry as they move up throughout their careers. And what I found is that there are processes that start at the moment of hiring, that preclude women’s access to these jobs. Things like biases against women who maybe are mothers or could be mothers leads employees not to hire them in the industry. For example, when I was doing my research, a very famous hedge fund manager named Paul Tudor Jones at a conference said that he thought that the experience of having a child would compromise a woman’s passion to the work, and he cited this as evidence that women could not be as good of traders. The women I interviewed expressed considerable frustration with this quote, and they’ve often described how as they progressed in their careers, they were shifted from jobs and on the investment side of the business. So jobs in research and trading, to jobs in client services, which were perceived to be more conducive to having a family. Whether this is true was not entirely clear in my research because women who worked in client services described how they had to be on demand all the time. They had to travel to meet with investor clients, but the perception among managers was that it was a better job. But what it also did is it made it harder for women to access leadership positions because more of the executive positions come from working on the investment side of the business. Is the job of a hedge fund manager more than a full-time job? As a sociologist, we call this discourse. Which means it’s a story that people tell to explain their lives, but it reflects their deeply held belief system. So people held on to this belief that the passion for work would conflict with passion for family. But what I found is that mothers and fathers alike, described equal interest and enthusiasm for their work as they did for their families. In fact, I actually found that the men talked more about their passion for their children in their interviews with me. They often cited that as part of what drove them to succeed and excel. And this also emerged, I found some evidence of a bonus for fathers. I had a couple of interviewees who are hedge fund managers who acknowledged that they paid fathers more because they perceived male breadwinners as needing more money to support a family in an expensive location like New York City. Is there a result that really surprised you? One of the most surprising findings from my research had to do with how these hedge fund managers create community. I assume that because hedge funds are small and relatively isolated in terms of how they work, they’re very insular. I assume that there would be networks, but I didn’t think they would be quite as close knit as what I found. What I came across were deliberate efforts to forge really close bonds and create community throughout the hedge fund industry. I found that there is a strong anti bureaucratic sentiment as well as an anti hierarchical sentiment. Many hedge fund founder’s actually founded these firms as a way to believe the giant hierarchies and large pyramid structures and investment banks that they perceive to be inequitable. They perceive them to be bogged down in bureaucracy, and they perceive them to be an efficient. hedge fund managers often talk about how they want to include employees. They want to create an open workspace that promotes communication and a sense of collective participation in their work. The hedge funds engage in all kinds of bonding rituals. Some host initiation rituals like Karaoke nights for new employees. They do things like relay races, they ski, they play poker, they have dinners, some even do things like group activity puzzle solving. And they do this all to create an environment where employees feel like a family and can rely on each other and trust one another. But what I found is that that close bonding actually led to some employees feeling very ostracized. And when they encountered, for example, when women and racial and ethnic minority men encountered discrimination or harassment, they felt very isolated and did not have any avenues to seek recourse. Instead, they perceive the labor market as the only avenue for recourse. They thought that they would take their talent elsewhere, and they thought that employers who discriminated would be penalized by losing their talent. But unfortunately what I found is that by taking a view of the entire industry as a whole, ultimately this does not penalize the employers because it is such a white male dominated industry. So in the hedge fund industry, there’ve been several industry reports, one in 2011 and then another one again this year that it found that those who do experience harassment or discrimination in this industry often have few other options, by pressing charges or calling attention to the issues was perceived as a career ender because it would ruin their reputation. And this meant that those firms who engaged in these kinds of practices would encounter a few consequences for this behavior. How do they see their work? How do they see themselves? Yeah, that’s a great question. So I included in my interviews broad questions about how they perceive the benefits of their work as well as the risks or the negative aspects of their work. And I left it open ended because I didn’t want to lead the questions. I wanted to understand how they see the world. And what I learned from this is that hedge fund managers and workers at hedge funds tend to understand their work in narrow terms. Like most of us, we understand the social world that we impact, but we often don’t understand the kind of consequences our work might have for others. So for example, hedge fund workers, when they describe the benefits of their work, they usually reference the people who are impacted directly from their investments. Roughly two thirds of hedge fund investments actually come from large institutions. These include pension funds, education, endowments like those at universities, and also government wealth funds. And so the average hedge fund worker, they understand the benefits of their work as being to save for retirement and help average workers save for retirement. So they often imagine the pension fund holder as the client that they’re serving. And I think that this would surprise many people. We assume hedge fund managers are thinking more about building wealth or driving companies into the ground. But really they’re focused on what they think of as adding value. And of course then many engage investment practices that do put workers at risk. So they often put pressure on companies to engage in labor practices that make work more precarious and unequal for workers. For example, they often want corporations to remove mid level managers or outsource labor or automate work using digital technologies, but they think that they are driven by this idea that that will make these firms more efficient and produce value in the market. How do they feel they are perceived by everyone? Is this an issue? Yeah. Yes. That is an issue. So one thing I encountered when trying to recruit participants is they often ask me or said to me, ’you’re not a journalist, right?’ Because they felt that the industry has been so burned (‘’burned’’ is how they would frame it) by journalists. And one of their motivations for talking with me was to kind of, because the focus of sociological research is to provide insight into the everyday practices of the people we study. And so what I heard from when I ask the question of how do people react when you tell them what you do for a living. Many of them said that they just don’t understand. They identified a gap between the public portrayals of the industry and the everyday lived experiences and many of also felt like the media portrayals focused on what they described as a few bad apples. So they really thought that often those hedge fund managers who make news for doing really particularly egregious investments, or for engaging in insider trading or fraud, they felt like those hedge fund managers caught most of the attention but didn’t capture their work, which is largely true with what my research found is that is that: the average hedge fund manager is much less exciting and a little bit more boring than how we think of them in the media. What I find most interesting about what they do is that many hedge fund managers engage in all kinds of analysis of markets. So there are a number of hedge fund managers who use, they use all kinds of strategies to invest in the market. So some use quantitative strategies and algorithmic trading strategies, and others actually do analysis of economies around the world. So they might study emerging markets and they’ll actually travel to different countries around the world to understand what kind of conditions the businesses face in each of those contexts. And then they use this information to invest worldwide. So for example, I had one interview with a hedge fund manager during the height of the Eurozone crisis. And she was investing in European stocks and government bonds. And she said, Europe is going to be here forever. Everybody’s trying to sell their European investments and I’m going to buy it while it’s low because Europe isn’t stable and I want to contribute to stabilizing it, and making sure that continues. So that’s kind of an example of what they do that you might not expect on the one hand. The other thing that was unexpected I found, is that many hedge fund managers come from academic backgrounds. I interviewed several physicists, people with PhDs in artificial intelligence, biology, even fields like philosophy. And they use this academic training to shape how they think about markets, and that informs their kind of everyday decisions. And one thing that’s often not captured in media portrayals of hedge fund managers is that they engage in sort of what we would think of as more of like a tech startup culture. At their firms they’re often dressed more casually, especially if they’re not engaging with clients. They’re more relaxed and are a slightly nerdier bunch than what we think as in the media. And this is partly because of this academic influence. And that was a common theme that came across in my interviews with academics as they described a moment when funding went up for investments in research, whether by the government or by universities. And this was the moment that pushed them into financial services as an alternative option for them to make a living with their academic degrees. It sounds like many of the managers decided to do what they are doing because of the money. Yeah. Yes. Many of them described how they were in academic positions, whether at research institutes or in postdoctoral fellowships or other kinds of positions, but just weren’t well funded. And they described how they couldn’t get jobs as professors like they had wanted. And so instead, many of them describe how a friend from Undergrad or a family friend gave them kind of the tip that their academic degree could be useful in finance. And that’s what led them then to the hedge fund industry or other financial careers that then led them to hedge funds. In term of investment strategy, is there something that you feel people would not expect? There were a few trends that I found particularly interesting in terms of investment strategies that the everyday person wouldn’t necessarily be familiar with. So during my research there were several ups and downs in the stock market, surrounding oil and gas prices as well as a stock market crash in China. And during these times, the people I interviewed spoke about how their client investors would redeem money because they get scared when the stock market crashes. And this made them very frustrated because one of the things few people know about hedge funds and other kinds of investment techniques is that they usually make money by buying a lot of stock at the bottom of the stock market crash. So even though stock market crashes are stressful and created headaches for them, they would be excited because it created opportunities for them to grow. And this is something that theorists who study financial systems have theorized broadly – how it is actually these crises that create wealth. And that’s part of the nature of the system and how it creates inequality, because financial crises negatively impact everyday workers, but it actually allows those who are in positions to invest, to gain broadly from it. So that was one unexpected finding about how they invest. Another one that I found particularly interesting, so as a gender scholar, I teach fertility and reproduction. And one of the theories that I teach has to do with how fertility rates shape economic outcomes in capitalist societies or in other societies as well. And during my research, I heard a lot of investors talk about how they track fertility rates as a sign of where to invest in what countries around the world. And that is something you wouldn’t think of generally. But as a country transitions from being high fertility, which is typically associated with a country with an agrarian economy. But as a country with an agrarian economy develops its fertility rate slows down and starts to decline. And so it becomes what’s called this economic sweet spot where there are many people who are young workers and just entering the workforce. And this creates a boom in the economy because there are fewer older workers who are dependents, who rely on their work for things like social security and other provisions. And then as they enter the workforce, they have fewer children. So there are also fewer children to take care of. And this creates a boom in economic development, which investors in hedge funds and other financial firms are aware of. And so they use this to shape what countries they invest in around the world. And they pay attention to where countries are in this fertility cycle as an indicator of how to invest in the companies in that country as well as in the government. Why are you doing what you are doing? Why are you so passionate about this topic? I pursued inequality because I cared about understanding poverty and inequality. And then I took this, I applied for a job at a financial firm when I graduated from university and ended up doing industry research at a large financial firm. I took this job because I wanted experience with data analysis to prepare me for graduate school, but I ended up being at one of the largest financial firms in the world and their hedge fund division. And this gave me access and knowledge of an area of the world that contributes to the rising incomes that are generating inequality on a broad scale. Those at the top of income distribution and how this contributes to inequality. I felt like we needed more insight into their social worlds and what shapes their everyday decisions to help us understand how inequality is reproduced and what the outcomes are for low wage workers and the poor. Of course, we would like to have a decrease in inequality, but based on your study, how and where could we start working on it? As a sociologist, we often focus on the causes of inequality rather than the solutions. And I currently work at a gender research institute called the Clayman Institute that focuses on interventions to create more equality in the workplace. So our research team actually works in partnership with corporations and government or agencies to create interventions. And what I think is key for interventions for social change is to have them be focused on the local conditions and the immediate context of the site that you’re trying to change. So what we do is we study work organizations and we identify the particular avenues that bias emerge and inequality happens within each organization. And then working with internal gatekeepers who are motivated to create change, we design interventions for change, things like calibration systems for how they hire, how they evaluate applicants and how they promote employees within the firm. And then we work together with those gatekeepers to come up with that solution, how to implement it and then study the aftermaths to determine how much change can be made in terms of producing equality. And for example, in one firm that we studied, we found an enormous gap between men who are highly ranked in their performance evaluations and women who are ranked at highly. And what we heard in the interviews was that there was a perception that men would be harder to retain. And so they inflated their evaluations course. So the team working on this research project devised an intervention to create more specific criteria for evaluation of these employees, and they reduce that gap by almost 30% from the men’s evaluations to the women’s. And if you had the possibility to change one thing tomorrow, what would it be? It’s hard because I’m trained to study complex institutions. And so when I think of the problems, I think of them in terms of how many actors are at play in creating inequalities. One of the most startling dimensions of inequality in the world today ,from my perspective as a gender scholar, is the fact that there are very few women who are in the high earning salaries at the top. But most women earn the incomes that support the poor and working class families, whether that’s in the U.S or in the world. In general women worldwide carry the burden of poverty and inequality. They’re the ones who are raising children and with very few supports to do it. And I think as a collective transnational society, we need to value the work of women who don’t often earn high wages, and especially the work that they do to reproduce society. So they perform all kinds of work to raise children who become future workers and we all need those workers, and we need to value those women’s labor as much as we do value the people who I study in finance. Are you seeing positive changes? I’m very encouraged and inspired by the fact that so many women are gaining access to political leadership positions. And I think what’s most important is the fact that many of these women in the case of the recent U.S midterm elections are not following traditional political careers, but rather they are entering office through campaigns based on transformative change, and are seeking to make more widespread changes in the institutions governing society. And I think that this provides a key to how women commit create broader change. I fear that if women only follow the same access to power as men do, that this will only serve to reinforce the institutions that help to generate power and inequality in our society. I think that we need more campaigns for transformative change like those we are seeing right now in many political movements around the world. I think the kind of society I dream of is one where we value what people do outside of work as much as we value what they do for their paid labor. I wish that we live in societies where people’s care for each other was highly valued as well as their artistic pursuits, and a society that allows people to pursue those things and live comfortably while doing so. What is the most important lesson you I have learned from this research? I think what is most revealing about studying people who are considered political or economic elites is the realization that they are people like everyone else who make mistakes, who make decisions based on the information they have available to them. And this doesn’t excuse when they make decisions that have adverse consequences for everyone, but it does help us understand why they make those decisions and understand how the worlds that they live in influence why the kinds of solutions to social problems that they select. And I think we need more research that delves into those worlds and gets access to political and economic elites to better understand why there’s such a gap in between what they care about and what other people, the middle class, the working class and the poor care about in society. Overall, the economic elites that I speak to care about other people and they do care about the impacts of their work. But the problem is that they don’t understand necessarily the solutions to the problems that other people face. What is the most important lesson you want your students to learn from you? I think the most important lesson is about approaching research. Broadly speaking, approaching and understanding other people from a sense of curiosity and fascination rather than through preconceived notions about how we stereotype or assume people act or behave. I think that starting research or seeking background information on a group of people, we need to start from a place of really understanding where they’re coming from, understanding the experiences that they’re having and how that shapes their perceptions in the world. And I always hope that students will find that as fascinating as I do. To me, every person I interview prompts new questions and curiosities for me, and makes me want to learn more about their experiences, and it always challenges whatever I assume going into the interview based on social theory or based on previous research. And I love that about my work, that it’s always surprising. It’s always unexpected because usually our assumptions going into research do not play out as we expect. And this is particularly true about ethnographic research, which is much messier because people’s lives are much messier than we like to portray them in stories or in books. And that’s what makes it so enjoyable and engaging and interesting. What motivates me is getting other people excited and interested in understanding inequality, and really delving into the data that helps us to explain how inequality reproduces and persists over time. I’m looking forward to continuing studying inequality, and what I want to do in the future is to really put workers who are at the top of the earnings distribution in conversation with those at the bottom. So I’m right now in the process of setting up a research project where I’ll investigate the lives of corporate elites as well as low wage workers in the same firm at different sites. One of the things that I love about studying inequality is figuring out how studying inequality at different parts of the earnings distribution changes how we understand it. And so I’m looking forward to putting those experiences within one context, within the same firm, into conversation with each other to understand why those at corporate headquarters make decisions that impact workers, low wage workers. And then to understand how those low wage workers actually experience those decisions, and how they think about them and how they impact their lives. Thank you so much for having me join you. Thank you so much for watching. Thank you so much for listening and thank you so much for sharing. Next time we are going to continue with our miniseries about inequalities. I hope to see you soon again, bye and ciao.